I have never been too fond of gardenia or jasmine-based scents, and the more I try from this family, the more convinced I am about this. 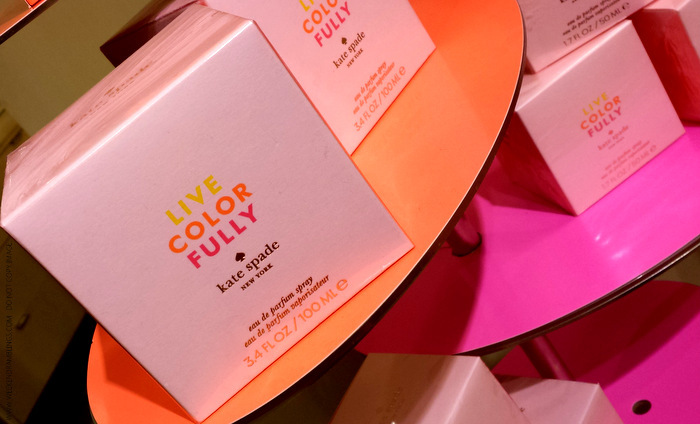 Kate Spade's Live Colorfully Eau de Parfum just reinforces my belief. The fragrance opens as a heavy floral with heady notes of gardenia and tiare flower - smells overwhelmingly like jasmine to me. I can barely detect any citrusy/spicy notes. The amber-musky notes do make an appearance as the perfume dries down, but the vanilla not so much. The fragrance is strong, and the teeniest spritz stays on the whole day on my skin. This perfume is definitely not on my list of must-buys, but with my dislike for the gardenia I am quite a bit biased in saying that. 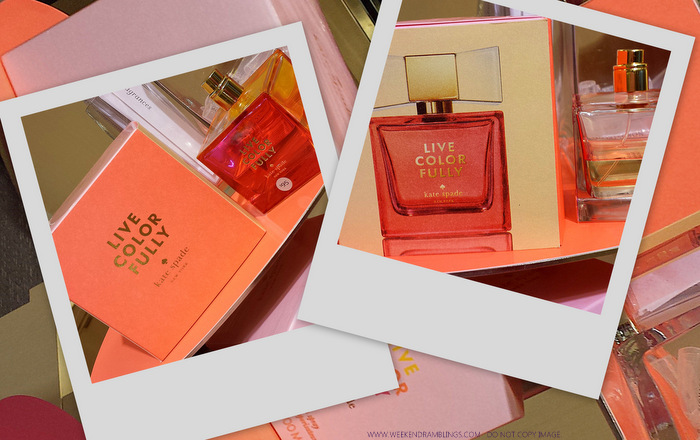 If you do like strong florals and/or love jasmine and gardenia based scents, Kate Spade Live Colorfully just might be your favorite perfume for the cooler fall and winter months. Similar perfumes - among what I have tried - would be Michael Kors Gold and Jennifer Aniston.